The automobile is currently going through some serious changes. Dashboards are rapidly being replaced by OLED touchscreen displays, deep-learning artificial intelligence wants to understand your feelings and even the humble hatchback can now park itself. Among this onslaught of new tech is the head-up display: an innovation that’s typically reserved for fighter jets and attack helicopters but has now made its way into premium offerings from the likes of BMW and Mercedes-Benz. 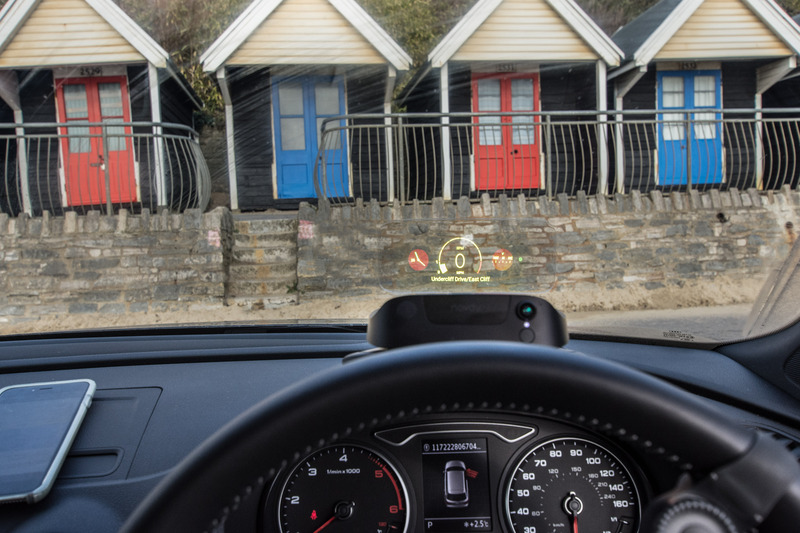 The device sees important information, such as speed and navigational prompts, beamed directly onto the windscreen in front of the driver or to an ultra-thin display that gives the appearance of ‘floating’ information. Unfortunately, not all of us can afford a BMW 7-Series or a high-end Range Rover, which is why we welcome the news that Navdy has come up with a smart retrofit solution. The device, which was made in conjunction with in-car entertainment experts Harman, sits atop to the instrument binnacle behind the steering wheel via a magnetic mounting system. Its ultra-clear, ultra-thin display then rests just in front of the windscreen, allowing the driver to look at the information projected onto it without taking eyes off the road ahead. Navdy is designed to sync up with current smartphones (it’s iOS and Android compatible) via a Bluetooth connection, which allows for easy control of music, hands-free calling and more. This mobile device is then hooked up to compatible in-car audio systems to provide the tunes. Controls are taken care of by a steering wheel-mounted jog wheel, which can be used to navigate menu screens with a click of the thumb. Press the centre button in to make selections or hold it to activate voice control features, like Siri and Google Now. Better still, the Navdy unit itself features a gesture-sensing camera, so users can answer or reject a phone call with a ninja-like swipe of a hand or change tracks with a similar gesture. So how does it fit into your life? Picture the scene: you hop in the car and wish to navigate to one of the road’s we’ve recently recommended in our Road Trip features. You simply fire up the the Navdy app on your smartphone and input the destination that will be used by the unit’s Projected Navigation. 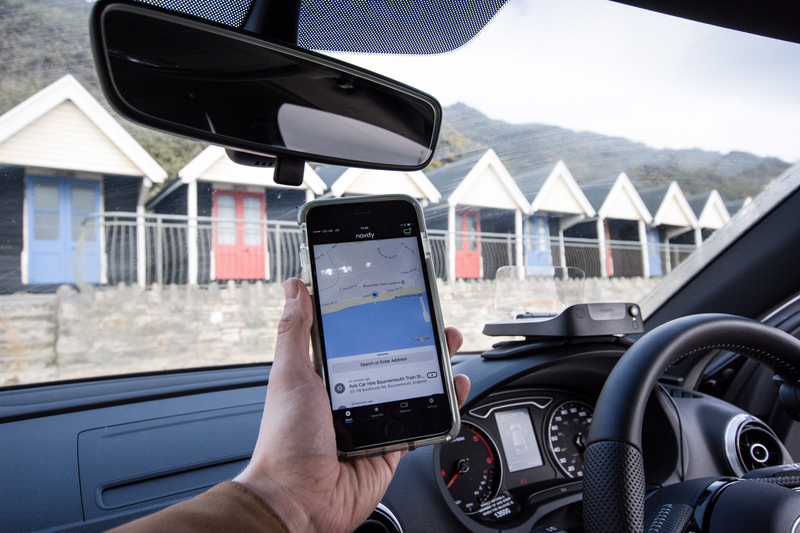 It is powered by Google Maps and features its own high precision GPS chip and local storage of maps, meaning drivers don’t have to worry about losing navigation instructions if they are out of network coverage. 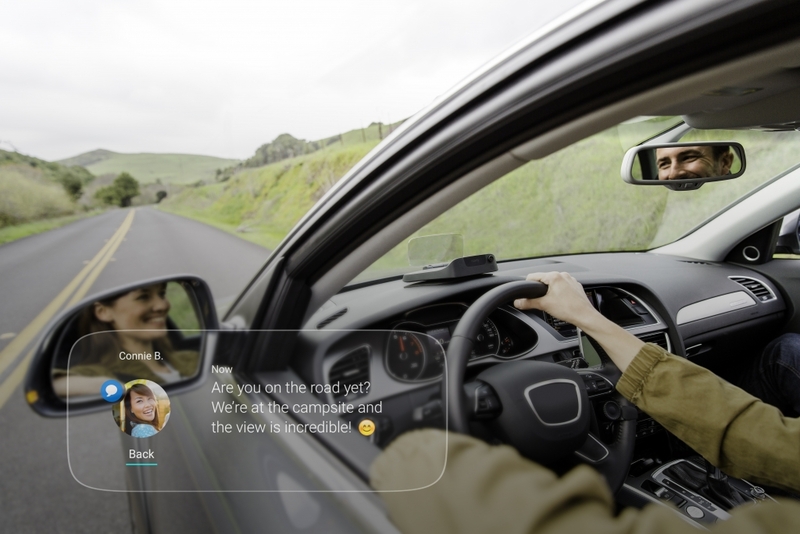 Navdy will then give detailed directional prompts, which appear in the windscreen and look as if they are hovering in the road ahead. It can take a few moments to get used to this, but the eyes rapidly adjust and you’ll find that your focus is now safely on the road ahead, rather than regularly glancing down to a nav screen, or worse, your phone. The clever unit even connects to the car’s OBD port, while a feature, dubbed Navdy Dash, shows speed, RPM and will automatically recommend a nearby petrol station when the fuel level is low. At £599, it is quite the investment, but it has the ability to turn any old car interior into a hi-tech palace that’s absolutely packed with functionality. Plus, it only takes around 15-minutes to set-up and it is properly portable and storable, so it’s possible to switch between cars and safely store it in the glove box when parked up.